I happened upon this blog post and - being the Time Tunnel series fan that I am - I thought I would "scoot" it over here. 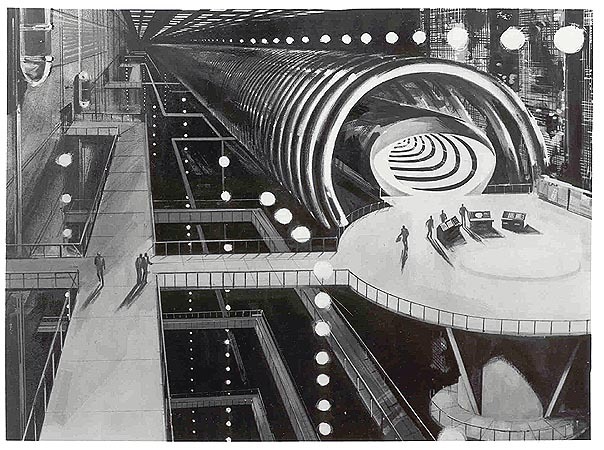 Above is the concept drawing for the Time Tunnel set which I found at the Drex Files blog. And here's the "real" thing! 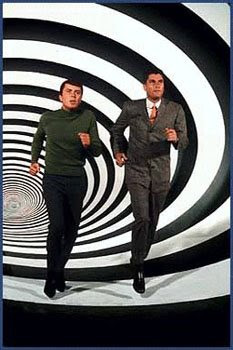 Time Tunnel was a regular repeat in the children's viewing time on Channel 9 in Perth in the 1970's and early 80's. I got to know the episodes so well that I could recite lines before the actors. Although there was no Internet and no easy way of finding out the fate of defunct TV shows it was obvious that Tunnel had enjoyed an exciting but brief life. It turns out that only one season of thirty episodes was made. 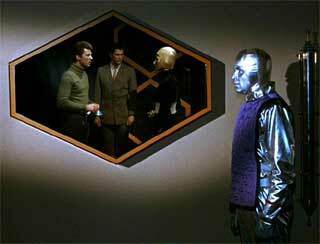 Like the Robinsons of Lost in Space the two time-travellers were left in limbo by the cruelty of the network suits. 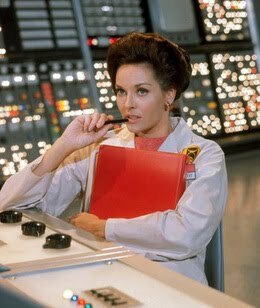 I never got around to taking an adolescent interest in Lee Meriwether but that white lab coat concealed a charming lady. There's a selection of photos of her at the blog E TENEBRIS IN LUCEM. Oh, these two guys were in it as well...James Darren and Robert Colbert. The Tunnel was premised on a rather dreary proposition; that all actions taken by the protagonists were accounted for in the "present". This tends to take the dramatic tension away somewhat. A couple of episodes featured villains who crossed their own paths, one being a treacherous crewman of a Mars mission who doesn't forsee his own death while visiting the Time Tunnel. Another is an Eastern European scientist who has already met the intrepid duo while trying to build his own Time Tunnel in the Soviet Union in 1956. He subsequently tries to con the US government in 1968 by pretending to defect but comes unstuck. The absence of the "many-worlds" quantum theory tended to trap this series... admittedly its presence didn't do much for Sliders in the long term. The unfortunate pattern with this series, as with so many others in the genre was the disintegration of the story quality. This was a repeating failure with Irwin Allen productions and stands as proof that its the story that matters most; all the special effects in the world can't save a yarn which breaks the suspension of disbelief by disrespecting its own conventions. 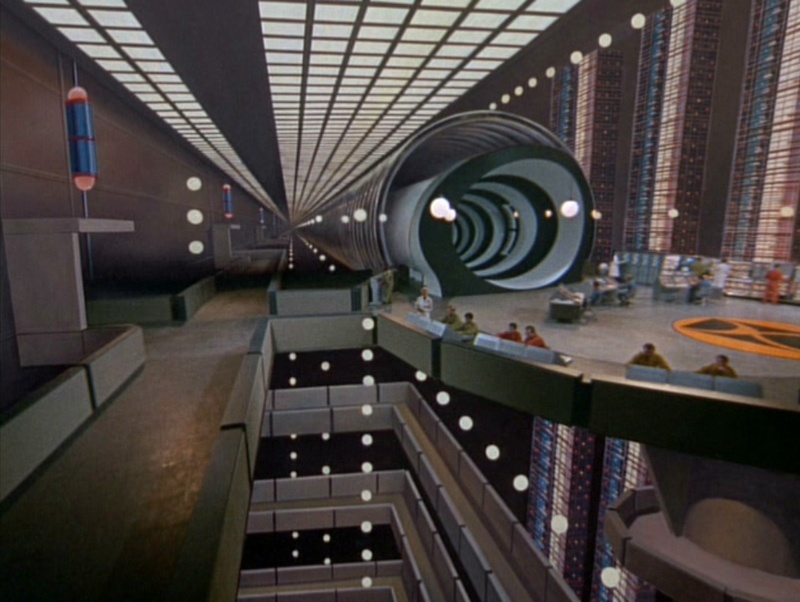 The Irwin Allen series tended to veer into the realm of the fantastic rather than the far-fetched. What's the difference? The far-fetched may be excused as a necessary convention of the theatre. In this category are the English-speaking French, Mongols, Renaissance Venetians, Russians, aliens etc. whom the boys encounter. It's obviously baloney but a remotely realistic treatment would have each episode consumed with communicative antics and a dialogue consisting mostly of "I can't understand you" and less polite versions in multiple tongues. Thus also for the artificial gravity in space craft. Artificial gravity is anomalous to the spacecraft design because it's a technology usually way beyond everything else aboard...just like the Star Trek transporter. Where the fantastic and bizarre intrude is with the introduction of entities such as the ghost of the Emperor Nero, Merlin the Wizard and utterly crazy storylines such as the one where the aliens turn up in the bunker and want to know what happened to their raiding party which visited Earth during the 19th Century. These critters are from a culture which has practiced and recently abandoned piracy as an economic model. They want to be assured that the humans didn't zap their boys...otherwise they'll destroy Earth. 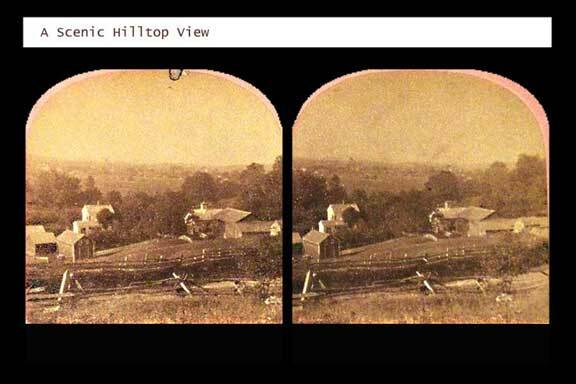 They're eventually placated by seeing their colleagues' ship leaving Earth intact through the Time Tunnel video scanner. Then they leave. So how do they know the temponauts were near their pals anyway? If they can figure that, why do they need the humans to tell them what happened? Aren't they remotely impressed by the fact that Earth has time travel? Don't they want to buy it/steal it? I'd all but forgotten The Time Tunnel. I still recall vague memories of one of the plots where the ending scene was in a giant insect hive and some fella was trying to hide beneath something when he heard the sound of buzzing wings... or more appropriately, his pending doom. Funny how small things will stay with us like that. As always, thanks for refreshing my memories.